OUR MANDATE is to work around the clock to increase both local and international tourists, says Winile Mntungwa, deputy head at Durban Tourism. The effervescent Mntungwa (Khumalo clan n ame) says as a result of 2016 report, the general decline pattern in domestic tourism over the past two years’ is associated with economic stagnation and re-prioritisation of consumer spending that has taken place in the country. She was speaking exclusively to this reporter during the 2018 Durban Tourism –Discover Durban Summer Campaign media launch held at Montecasino, Fourways recently. 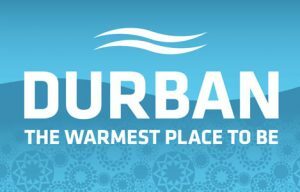 Every year during winter season, the agency embarks on activating campaigns in Soweto/Joburg/Pretoria to conscientious tourists to visit what is called ‘Warmest Place to Be’ as Durban has become synonymous for. Between 2016/17 KwaZulu/Natal experienced 2504 000 visitors that equates to -40% a vast increase from -16% between 2015/16. But according to Mntungwa, although they have outsmarted other provinces they still have to work hard to draw tourists the ‘Coastal Way’, that’s the future, she remarks authoritatively. For the past five years’ Durban Tourism has used the annual Macufe (Mangaung African Cultural Festival) hosted in the Free State province, as a platform to market the City, lure visitors and benchmark on opportunities that are aligned to their strategy. “This would help to market our City beyond the festive period up until Jan/Feb 2019, as we target what we call different segments/audience such as families, friends or business, and Macufe forms part of that key market point. Such segments play a huge role in our marketing campaigns and benefits thereof,” she alluded. 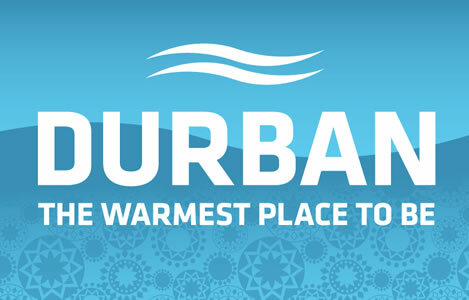 Durban, is a leading South African Tourist destination and is marketed globally by Durban Tourism, an official marketing unit that forms part of the eThekwini Municipality. This year, the City hosted the 25th World Travel International Awards: (Africa/Indonesian) and won Best Port City, Destination and Meetings, Convention awards. Some of key features for Durban Tourism include, in May 2018 during the annual Indaba Tourism, the City in collaboration with the KwaZulu/Natal were named top 19 must-see destinations worldwide for 2019 by British Airways; and for the very first time a direct flight from Heaththrow (London) will land at King Shaka International. As part of job creation, skills development and economic spin-offs in the City, Mntungwa also pointed out that a multi-billion rand Durban Beachfront promenade infrastructure is taking shape that goes through one of Africa’s busiest Harbors. This is part of PPP (Public, Private Partnership) of which the Malaysians are bankrolling in partnership with the eThekweni Municipality. It is due for completion in 2019. Going forward, massive projects will be rolling out to brand position the City and Tourism, both locally and internationally, asserted Mntungwa. 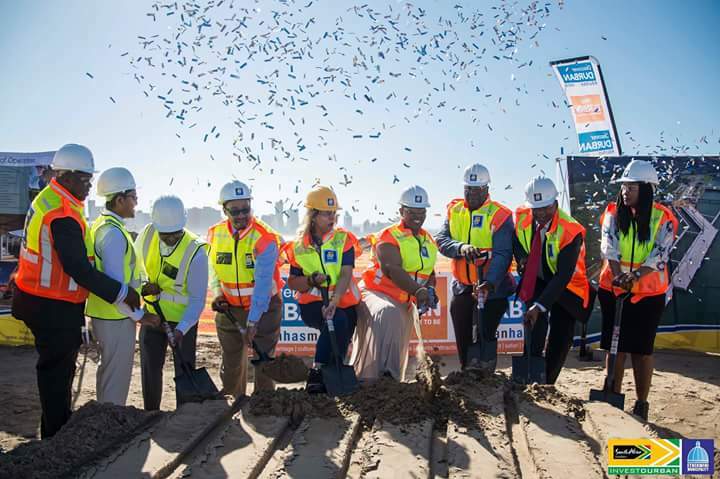 Sod-turning as part of a billion-rand Durban Beachfront promenade infrastructural development. International tourists see Durban as a lifestyle experience that they also want to be part of. South Africa is fast becoming the world’s number one tourist destination. Usually, it is Cape Town that gets all the praise but Durban and the KwaZulu/Natal province have an ace-card under their sleeves, as it positions itself as a City to live, work and attract investments. As indicated, we’re hard at work to sway tourists this side, because numbers don’t lie, she concluded unflinchingly.